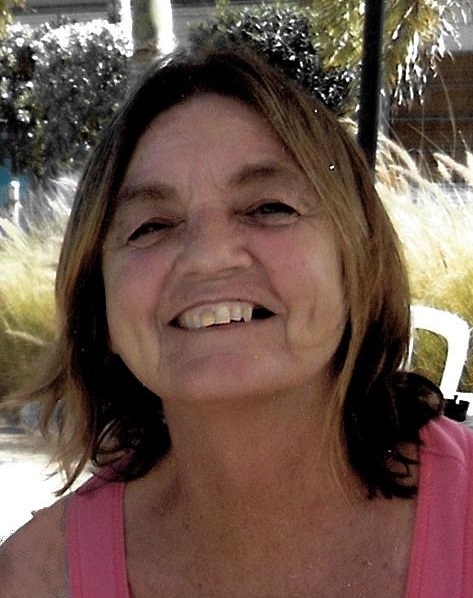 Pamela Rose Baumgartner, 69, of Churubusco, passed away on Tuesday, February 12, 2019, at her daughters home in Allen County. Born in Fort Wayne, on August 4, 1949, to Robert and Jesse (Shaw) Stanton. She spent her formative years in Fort Wayne, graduating from Northside High School. As a young adult, she was a waitress at Ted Geloffs in Fort Wayne. Later she spent 22 years in Florida where she worked at Robert's Park & RV. She moved back to Indiana in November 2018 to be with family as her health declined. Pam liked golf, sitting at the bar in restaurants, movies and boat rides. She loved walking on the beach at sunset but especially spending time with her grandchildren. Pam is survived by her mother, Jesse Miller; her two daughters, Michelle Rena (Scott) Herron and Jessica (Travor) Hanson; her son, Jeremiah (Kim) Baumgartner; two brothers, Robert (Faye) Stanton and Raymond (Renne) Miller II; four sisters, Trudy (Louis) Vosmeier, Patricia (Matt) Mack, Elizabeth (David) Barnett and Anne Stanton; seven grandchildren and six great-grandchildren. She is preceded in death by her father Robert Stanton and her step-father, Joe Miller. In lieu of flowers please direct memorials to the family c/o Sheets & Childs Funeral Home.